Eurohoops’ own George Efkarpides asked Nicolas Batum about Rudy Gobert and Briante Weber. 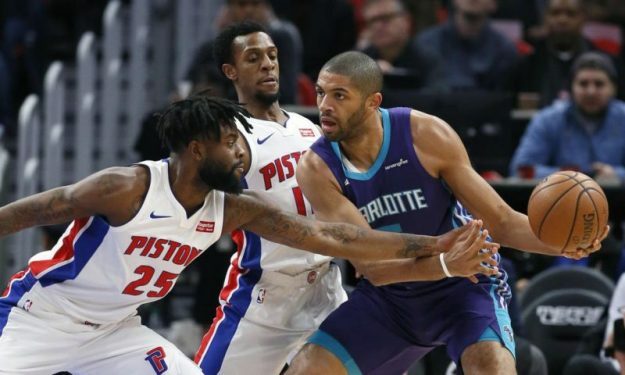 Nicolas Batum was happy to talk to Eurohoops about his compatriot Rudy Gobert and Briante Weber’s addition to Olympiacos’ roster. The 30-year-old swingman really expected 26-year-old Gobert to land an All-Star spot and explained why he believes the Utah Jazz player had such an emotional response to his snub. “He’s in the Western Conference” he initially noted. “I was at the grocery store with my wife and my kid. I was in a hurry to watch my guy live. I was sure he would be in. I turned the TV on and couldn’t believe he wasn’t. I was pissed. I wanted it so bad for him” he added. “He deserved it. He wanted to be in, not only for himself. It would be huge for Europeans. When you’re an All-Star, it’s not only for you, but also for your country. That’s why I think he was so emotional. He had so much support from back home. Maybe he felt like he let us down” Batum said. On Weber, his former teammate, he predicted: “Expect a lot of energy from him. He’s a great defender, great on stealing the ball. He’s going to steal the ball a lot. He’s great guy, they are going to love him. His energy, he loves winning, he’s always happy, always smiling. People are going to love him for sure. He’s going to good team with a great coach, David Blatt, Spanoulis and all those guys are going to be good for him”.